One of the many unusual characteristics of Adlam is that it was created by two brothers, the older of whom was barely into his teens. Abdoulaye and Ibrahima Barry grew up in a small town in Guinea, West Africa, speaking the language generally called Fulani, though in Guinea it is called Pular. 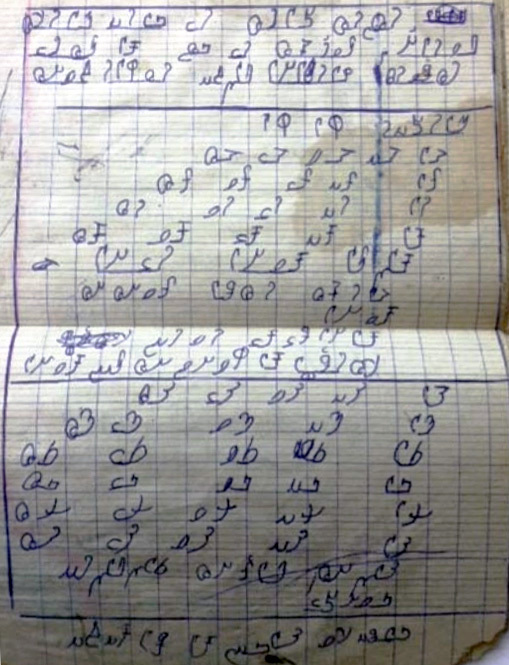 Few people in their town could read, and their father, who could, acted as a designated reader: when people received letters they took them to him and he did his best to read them — more of a challenge than it might seem, as Fulani was most often written in Arabic script that gave at best an inconsistent and approximate meaning to their words. In 1989 Ibrahima, then 14, and Abdoulaye, then 10, decided they could do better. At the same time, they worked at the problem from the other direction: at school, if they heard or thought of a spoken sound that needed to be represented in writing, they made a note of it. 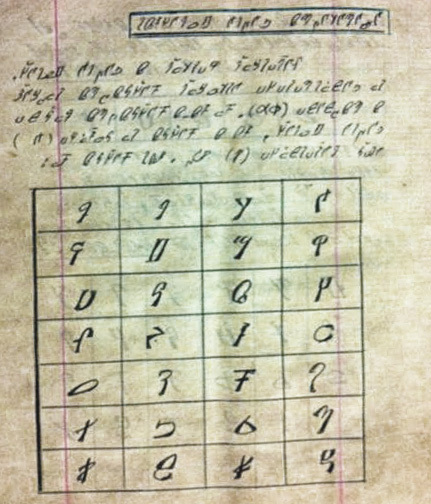 Their father, however, invited an expert who tested them in the same way the Cherokee tribal council tested Sequoyah: by giving dictation, though in this case he especially included words that could not be written effectively in Arabic or Latin script. One brother was told to write, then the other was told to read what had been written. The expert declared the boys had, indeed, created a functional alphabet, of 27 letters — and their father made up for his earlier skepticism by teaching the script in his shop at the market. The first iteration was cursive, but people found it hard to discern the individual letters, so in their second iteration, the brothers separated the letters. 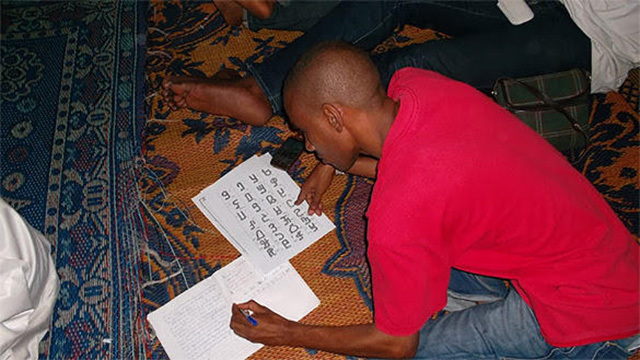 When Ibrahima, the older brother, left to study at the University of Conakry, he took the script with him, and it began being used in classes. To provide content, they wrote books of practical advice — how to conduct a healthy pregnancy, how to filter water to make it drinkable—and a newspaper. “All the books were written by hand,” Abdoulaye explained, because there were no typefaces or digital fonts. If they made a single mistake, they had to start writing the page again, aware that everything they wrote was, in effect, creating a linguistic standard that would be followed and thus needed to be accurate and consistent. By 2007 both brothers had moved to the United States, and were looking for skilled help to create fonts and keyboard software. By 2016 the script had been accepted by Unicode; by 2018 Google had created a Noto Sans Adlam font and an Android-friendly phone interface. 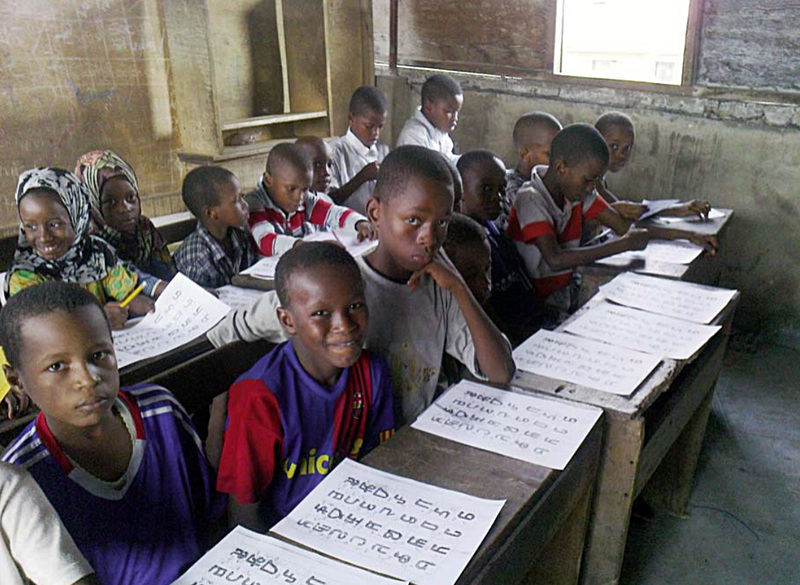 “It’s about improving literacy rates generally,” Ibrahima explained. Now people had the chance of an education in their own language, more were learning to read and write. “The people who were most excited were the women,” he went on, as it made education and literacy significantly more accessible and attainable. 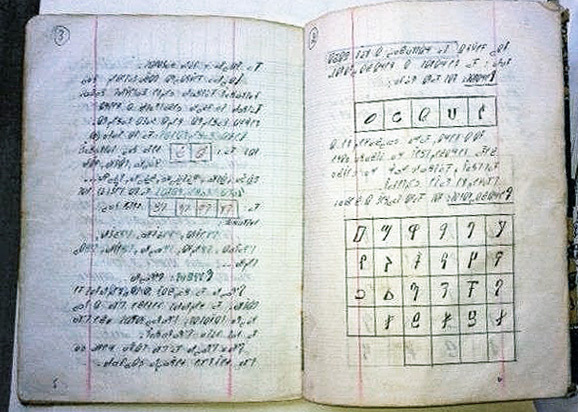 As this Atlas comes into being, Adlam, like Vai and N’Ko and perhaps Mandombe, is a growing new script rather than an endangered old one, and it may be moving from an indigenous minority script to a thriving regional writing system. 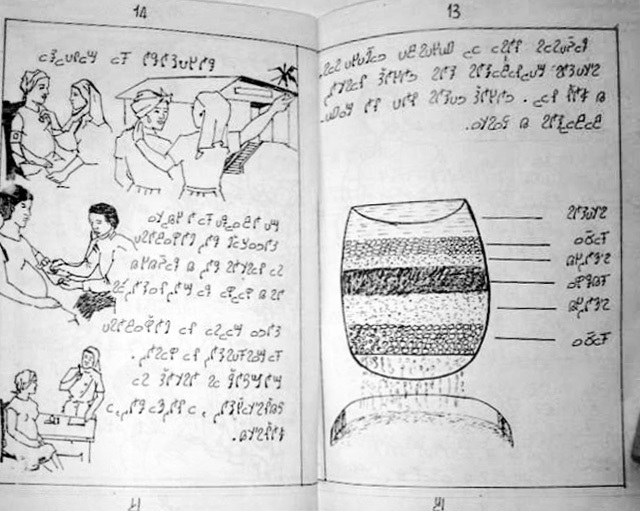 The purpose of the Atlas, though, is not to document by categories but to play a part in the revival of minority cultures through their writing systems, and we include Adlam here as a tale of what has been done, how it has been done, and what may be done again elsewhere.